TORONTO, October 9, 2018 – As Canadian Controlled Private Corporations (CCPCs) grow, they employ a comprehensive team of professionals to manage their complex and expanding interests. Increasingly, affluent business owners will rely on Chartered Professional Accountants (CPAs) to partner with other professionals to offer multi-dimensional strategies aimed at ensuring business sustainability. Without professional collaboration, there’s a missed opportunity to deliver value-added service to key clients holding CCPCs. 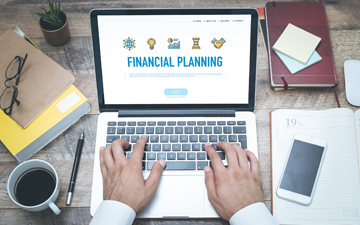 It might surprise you that today, more and more of Canada’s wealthiest business owners are turning to permanent life insurance to help protect their estates and address tax issues. It might also be surprising that hundreds of millions of dollars are being used to purchase corporately owned policies each year. CPAs can deliver significant value to their clients by seeing the opportunity that insurance offers as a tax-efficient asset and not just an expense. 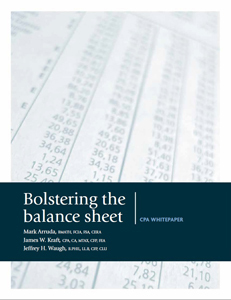 Download the CPA white paper, “Bolstering the balance sheet,” in English or French for a high net worth case study on the benefits of life insurance, and read more insight and thought leadership from Sun Life Financial. Let’s consider the scenario where the liability is permanent and therefore requiring a permanent insurance solution. Rather than trying to minimize the insurance premium expense, let’s say you try to help cover the liability by optimizing the solution like an investment. One option could be investing money with hopes of maximizing the return. That comes with the risk of tax erosion on investment income and capital gains. Some types of permanent life insurance offer an investment component, which makes for an interesting comparison. The larger premiums associated with permanent insurance might cause a negative reaction but consider the balance sheet and see what happens when insurance is viewed as an asset. Permanent insurance includes the potential for a cash accumulation fund. The investments in the fund are tax sheltered, including at death, when the insurance benefit is paid out. Certain insurance products provide a high degree of stability and include a variety of investment options. They even offer options to grow the CCPC’s business by using the policy’s value as collateral for a loan, helping to provide the liquidity that many CCPC business owners seek. On the other hand, traditional investment portfolios are subject to annual taxation of earned interest, dividends received and realized capital gains. When these assets are liquidated, it also triggers taxation of deferred capital gains. For CCPCs, money is typically moved to the estate or new shareholders by payment of a taxable dividend. Transferring funds in a CCPC from taxable investments to a permanent life insurance policy can help reduce overall annual taxable investment income. At the death of the insured person, the tax-free death benefit is paid to the designated corporate beneficiary, and this amount, less the policy’s adjusted cost basis, can be credited to the corporation’s capital dividend account (CDA). For corporate beneficiaries, the CDA helps provide a tax-efficient method of moving money out of the corporation to the estate or new shareholders. Any portion of the death benefit that exceeds the CDA credit can be paid out of the corporation as a taxable dividend. The cash surrender value (CSV) of a corporate-owned life insurance policy is a corporate asset and should be included in the company’s balance sheet. The significance of the CSV and your client’s objectives will help you determine where the amount should be included. If your client has no intention to dispose of the policy, the CSV should be classified in the non-current asset section under other assets, or as life insurance CSV on the balance sheet. Disclosure is optional depending on the materiality of the amount. If your client’s intention is to do a full or partial disposition of the policy in the near future, the CSV should generally be classified as cash and cash equivalents in the current assets section of the balance sheet. Let’s look at an example of the balance sheet impact of a hypothetical lower premium term to 100 policy vs. a hypothetical higher premium participating whole life insurance product with early CSV (Quick Pay Permanent) over the first 20 years. The term policy has annual premiums of $50,000 each year. The participating whole life policy is quickly paid instead over 10 years with annual premiums of $200,000. 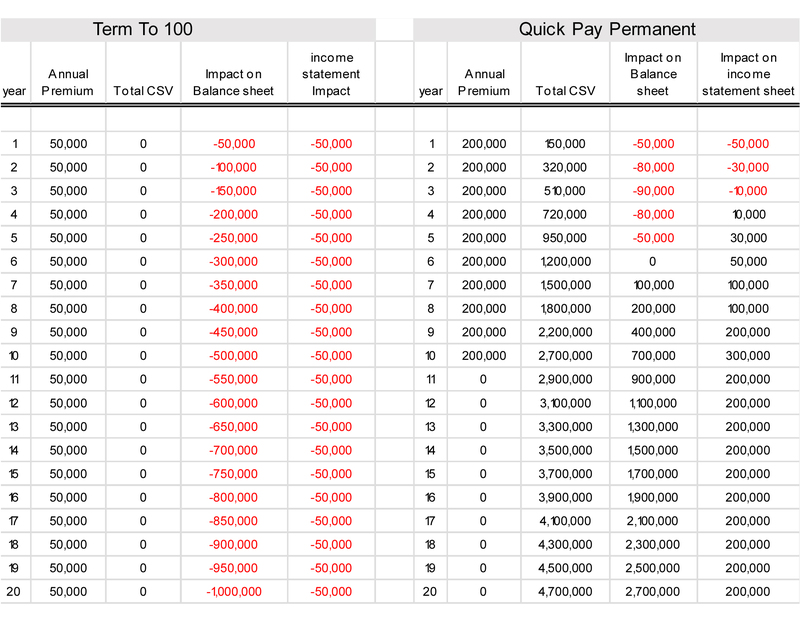 With the low cost Term to 100 policy, there is a premium paid each year that affects the income statement but there is never any CSV build up. This depletes the balance sheet value each year. In the early years of the Quick Pay Permanent policy, the premium paid, less the growth in the CSV, will show as an expense on the corporation’s income statement. But over time (and in some cases, as early as 10 years), the growth in the cash value can begin to exceed the premium paid. Rather than an expense, the policy is now adding to the corporation’s income and bolstering the balance sheet. CCPC clients want protection that satisfies two simultaneous goals: optimizing the value of their business for future shareholders, and taking advantage of opportunities to grow. CPAs, like other financial professionals, are under increased pressure to provide multi-dimensional solutions to their clients, especially high net worth individuals and CCPCs. Viewing insurance as an asset that can potentially enhance the balance sheet creates an opportunity to deliver value-added service. Creating strong links with insurance professionals who deliver this advanced level of insurance consultation can help you satisfy client needs in an innovative way. Mark Arruda, BMath, FCIA, FS, CERA, is assistant vice-president, strategic business development & marketing actuary for Sun Life Financial. James W. Kraft, CPA, CA, MTax, CFP, FEA, is estate & insurance advisor, vice-president, BMO Nesbitt Burns Financial Services Inc. Jeffrey H. Waugh, B.Phil, LL.B, CFP, CLU, is director of wealth & insurance tax solutions at Sun Life Financial.